PACKED with market leading safety features, including autonomous emergency braking, reversing camera and rear parking sensors as standard across the range, Peugeot’s new range of commercial vehicles is set to launch in Australia. 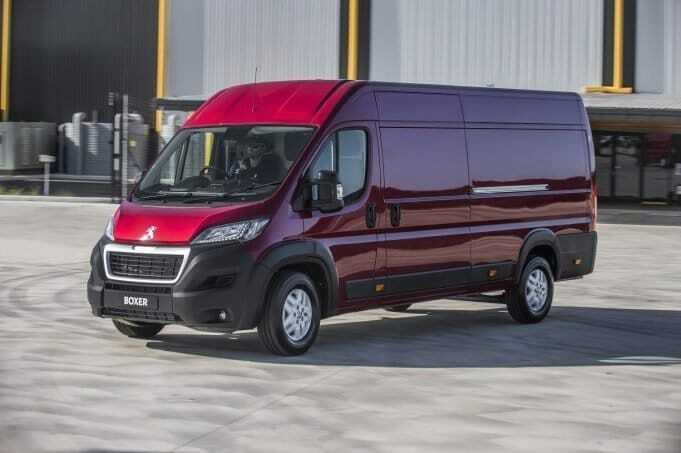 The French car maker will launch three new vans locally, with each featuring high levels of standard safety equipment, as well as a minimum of four airbags, with driver and passenger airbags complimented by either a side curtain, or thorax airbags. The vans will also be supported by a substantial five-year, 200,000 kilometre warranty, with the mid-sized Expert the first model to launch, this month, with the more compact Partner and super-sized Boxer to follow in the third quarter. The van line-up builds off PSA Group’s broad experience in Europe as that market’s number one supplier of light, medium and heavy-duty vans. Peugeot Australia’s MD Ben Farlow said the new range with bring practicality and function across the segment. As for the individual models, the Partner sits at the foot of the size range and will have a load capacity of up to 1000kg, and a cargo area of up to 4.4m3, depending drive-train and body length. It will feature lane-departure warning, speed sign recognition, and left side sliding doors with with 180-degree rear barn doors. It will be Peugeot’s first commercial vehicle to feature an i-Cockpit cabin design and will be available in manual or automatic. Available in two body lengths, the Expert is the middle kid in this van family and will feature a three-seat configuration, offering up-to 6.6m3 of cargo volume and up to 1300kg of payload capacity with a load length of up-to 4 metres. The standard and long versions, at 4.95m and 5.30m respectively, are designed for the core of the light-commercial-vehicle market. Its reduced height of under two-metres also guarantees the new Peugeot Expert has access to all car parks. The Expert comes with driver attention alert, dual-side sliding doors and 180-degree rear barn doors. It launches with three turbo-diesel drive-trains, with a manual or six-speed auto transmission. Finally, the big brother to its smaller stablemates, the Boxer, will be offered in two body lengths and feature more than 11.5m3 (13m3 for long body) of cargo volume, with a maximum load length of 3.1-3.7m. The two seat van features an all-new 2.0-litre BlueHDi turbo diesel engine and will be available in manual transmission only. Further details on all three vans, and local pricing will be provided closer to each vehicle’s launch.